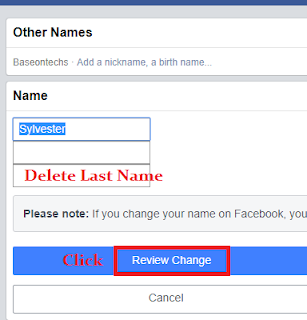 How To Use Single Name On Facebook [3 Easiest Tricks 2019] - BaseOnTechs - Learn To Do It Yourself. Hello everyone, hope you're chilling. So today I will be sharing with you all top tricks on how to use a single name on Facebook easily. As you already know, it's never an easy task to use a single name or hide your last name on Facebook since it was required on the day of your sign up. For real it's not a free ticket for every, just for some categories of people were was born with one name for life. Don't get me wrong you are not paying for this trick I'm giving it free here in this post. For you to be allowed to use a single name or hide your last name on Facebook, there are some factors required by Facebook. You must be from Indonesia. Yes, normally the average people who are allowed to use one name on Facebook are from Indonesia. You are to change Proxy Address of browser Or Device IP Address. You are allowed to change a name once in 60days. What If I Ask A Question. Why do u wish to use a single name on facebook? Is It Illegal To Use Single Name On Facebook? Can't say much but the use of a single name is available only for individuals who live in Indonesia. Better still it's not an illegal practice coz you aren't in any way scamming, harassing someone or going against Facebook Terms And Conditions. Since the use of one name on Facebook is limited to only those who live in Indonesia. The simple trick is to change language from current to Indonesia and you get success. It's as easy as ABC to change your language to another on Facebook. Launch Mozilla / Chrome browser and download Hola VPN free of charge. After downloading you will be given two(2) options >Allow|Not Now< with a warning message, kindly click Allow. Scroll down and select Indonesia as your Country. Your browser will be automatically configured with Indonesian proxy address. 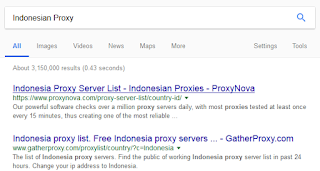 In the search box type Indonesian Proxy and click the Search button. You can as well get an active proxy address from http://proxynova.com or other websites online. Now it's time to change language on facebook in order to use a single name. Now it's time to finally change your Facebook name to single. Click Name, delete the Last name and click Review Changes. On the next screen choose your name and Save Changes. 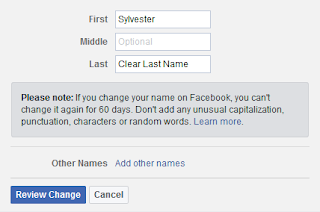 You have successfully changed the name and can now use a single name on Facebook. From this moment all your friends(including you) will only see one name on your profile. After successful editing, you may choose to change back language. 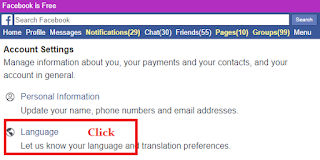 Kindly turn OFF Hola VPN and as well change the language to default in Facebook Settings. DON'T STRESS YOURSELF. LET ME DO IT FOR YOU. If you still find it difficult to make a single name on Facebook, you don't have to worry. Just Contact Me and let me do it for you. (little penny of $5 attached though). Finally, you have reached the end. And I believe you now know how to use a single name or hide your last name on Facebook. You can as well view this short video to learn how to do this, life. Hope it helps? 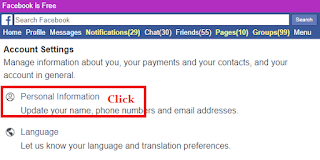 Are you having problems with creating a single name Facebook Account? Which Website Or tool helped you change IP Address? Which other method works really well for you? Love to hear from you. Do well to subscribe for more tips like this.